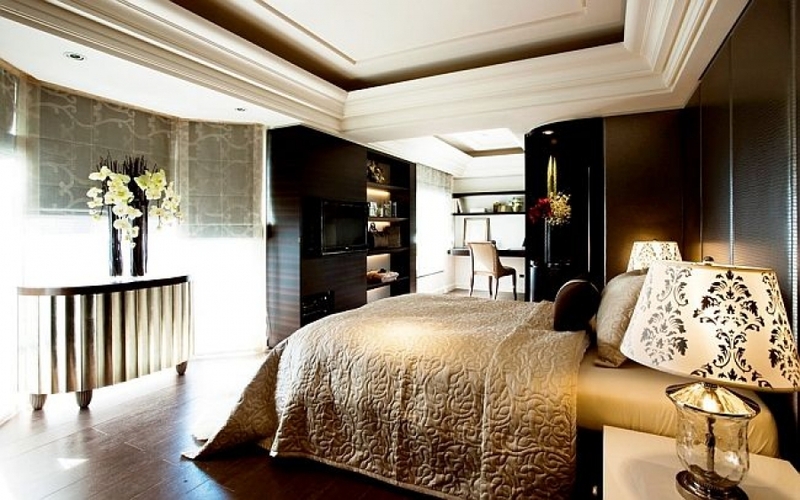 Even though it’s the place we spend hours in, relaxing and regenerating every night, the bedroom is often the last place that gets design attention. That’s because we tend to focus on the spaces that guests see first (or most), and we may never get around to making the bedroom as chic as it can and should be. You don’t have to be afraid of tackling this important space; little changes can make a big difference, and many can be made this weekend without outside help. Shake out those muscles and get ready to make that bedroom beautiful! Create an urban chic look with a feature wall of exposed brick or go romantic with this look. They’re both of the peel-and-stick variety, which means they’ll go up (and come down) easy. The no-commitment aspect of these wallpaper options makes them the perfect choice for those who haven’t done much in the bedroom because they thought they needed to strike the ultimate inspiration. pinterest.comYou can also revitalize an old dresser or pretty up a boring nightstand with a roll of the stuff. It sticks to almost anything and is removable and repositionable in case you make a booboo. Peel-and-stick tiles aren’t just for kitchen backsplashes. Turn a regular old bedroom mirror into a standout. The whole project can be done in mere minutes. Tip: Measure first so you know exactly how many tiles you need and so you don’t end up with awkward spacing. And, be sure about the placement before you add pressure because once the tiles adhere, they’re not easy to remove. 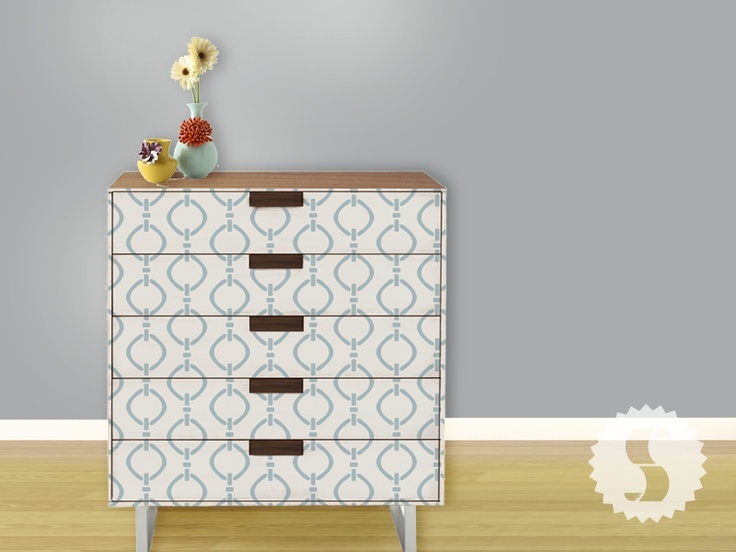 Stencils are a great choice for bedroom furniture, too. “A little sanding and some paint can give new life to any piece of furniture, but if you really want to transform an old piece, this is a DIYer’s best-kept secret: stencils,” said Country Living. “Using stencils to give a piece of furniture a makeover is an easy way to create a completely custom and one-of-a-kind piece. It’s also a brilliant way to refresh wood furniture that has seen better days.” Add some new knobs, and, voila!